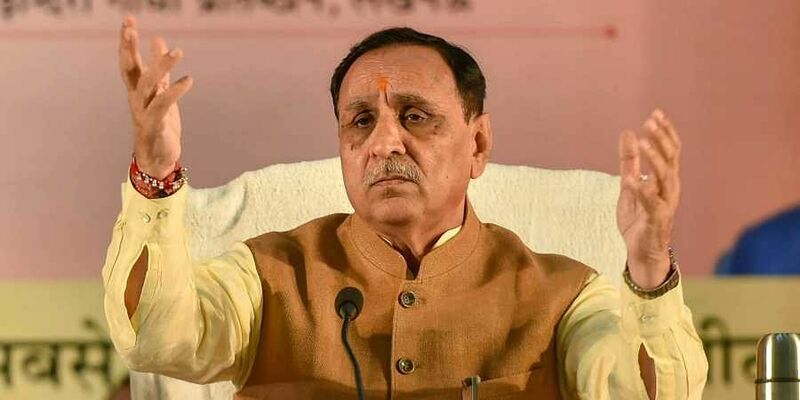 Gujarat CM Vijay Rupani announced that his government will implement the reservation provision from January 14. AHMEDABAD: The BJP-led Gujarat government on Monday implemented 10 per cent reservation in state government jobs and education for the economically weaker sections (EWS) in the general category. With this, Gujarat has become the first state in the country to implement the new provision. The constitutional amendment to provide the 10 per cent quota was approved by Parliament last week and had received assent of President Ram Nath Kovind on Saturday. "Happy to state that the Government of Gujarat has decided to implement 10% EWS reservation benefits from 14th January, 2019. It will be implemented in all ongoing recruitment process too wherein there is only advertisement published but first stage of examination is yet to held," he said in a tweet. "The economically weaker sections from the general category will get 10 per cent reservation in admissions to higher education and government jobs starting Uttarayan on January 14," the state government had said in a release. The new quota will also be implemented in admissions and jobs which were advertised before January 14 but for which the actual process has not started, it said. In such cases, fresh announcement about the admission process or jobs will have to be made, it further said. However, if the recruitment or admission process -- tests or interviews -- has started before January 14, the 10 per cent quota would not apply, the release added. Soon after the announcement, Gujarat Public Service Commission (GPSC) chairman Dinesh Dasa said they would suspend "all the preliminary exams" which were scheduled to be held on January 20. "In view of the announcements made by the state government, we have decided to defer the GPSC preliminary exams which were to be held on January 20. The exams will be rescheduled and announced after the certificates are issued to the new reservation beneficiaries," Dasa said. The Gujarat Congress, however, criticised the government's decision to implement the quota, saying it was done in a hurry as January 14 was a holiday on account of the Uttarayan festival. State Congress president Amit Chavda said the announcement will create confusion among candidates preparing for various upcoming examinations.